May 8 is the 128th day of the year(129th in leap years) in the Gregorian calendar.There are 237 days remaining until the end of the year. 1794 – Branded a traitor during the Reign of Terror, French chemist Antoine Lavoisier, who was also a tax collector with the Ferme générale , is tried, convicted and guillotined in one day in Paris. Year 453 BC was a year of the pre-Julian Roman calendar. At the time, it was known as the Year of the Consulship of Quinctilius and Trigeminus. The denomination 453 BC for this year has been used since the early medieval period, when the Anno Domini calendar era became the prevalent method in Europe for naming years. The Spring and Autumn period was a period in Chinese history from approximately 771 to 476 BC which corresponds roughly to the first half of the Eastern Zhou Period. The period's name derives from the Spring and Autumn Annals, a chronicle of the state of Lu between 722 and 479 BC, which tradition associates with Confucius. 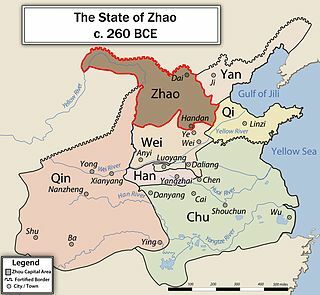 Zhao was one of the seven major states during the Warring States period of ancient China. It was created from the three-way Partition of Jin, together with Han and Wei, in the 5th century BC. Zhao gained significant strength from the military reforms initiated during King Wuling's reign, but suffered a crushing defeat at the hands of Qin at the Battle of Changping. Its territory included areas now in modern Inner Mongolia, Hebei, Shanxi and Shaanxi provinces. It bordered the Xiongnu, the states of Qin, Wei and Yan. Its capital was Handan, in modern Hebei Province. Joan I of Auvergne was ruling Countess of Auvergne and Boulogne in 1332–1360, and Queen of France by her marriage to King John II. Pope John II was pope of the Catholic Church from 2 January 533 to his death in 535. The Blessed Mary Catherine of St. Augustine, O.S.A., was a French canoness regular who was instrumental in the development of the Hôtel-Dieu de Québec in service to the colony of New France. She has been beatified by the Catholic Church. Julianof Norwich, also known as Dame Julian or Mother Julian was the greatest of all the English anchorites of the Middle Ages. She wrote the earliest surviving book in the English language to be written by a woman, Revelations of Divine Love. Saint Amato Ronconi was an Italian Roman Catholic who became a professed member of the Secular Franciscan Order due to his desire to follow in the footsteps of Saint Francis of Assisi. Ronconi lived a life of penitence and dedicated all his works to the poor through the construction of chapels and hospitals – one such hospital still exists in his home of Rimini. His good deeds never went unnoticed for the townspeople hailed Ronconi as a saint in their midst even in the face of a slanderous accusation a jealous sister-in-law spread. Desideratus was a French saint in the Christian church from Soissons. Unusually, he came from a family of saints, as his father, Auginus, mother, Agia, and brother, Deodatus, were all canonized. The parents taught the two boys to care for the poor and to give away all of their material possessions to aid others. 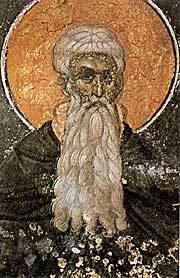 November 15 is the 319th day of the year in the Gregorian calendar. 46 days remain until the end of the year. ↑ "Allen, Ethel D. 1929–1981 | Encyclopedia.com". www.encyclopedia.com. Retrieved 2019-02-19. ↑ Leturgey, Tom (May 9, 2018). "In his final years, 'Big Bully' Nick Busick gave hope and inspiration". Slam! Sports. Canadian Online Explorer . Retrieved May 9, 2018. Wikimedia Commons has media related to May 8 .